We are pleased to announce that Data & Society is joining the Partnership on AI to Benefit People and Society, or Partnership on AI, a nonprofit organization founded by Amazon, Apple, Google/DeepMind, Facebook, IBM and Microsoft. 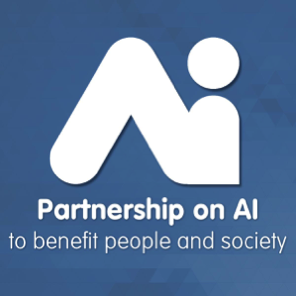 The Partnership’s goals are to study and formulate best practices on the development, testing, and fielding of AI technologies; to advance the public’s understanding of AI; to serve as an open platform for discussion and engagement about AI and its influences on people and society; and to identify and foster aspirational efforts in AI for socially beneficial purposes. AI, automation, and autonomous systems are presently surrounded by utopian dreaming and dystopian anxiety. Data & Society believes that engagement and grounded research—attentive to social dynamics and on-the-ground contexts—can add clarity and suggest directions for action, policy, design, and technical development. We look forward to collaborating with other industry-leading Partnership on AI members to address the challenges and opportunities within the AI field including companies, nonprofits and institutions and with founding members Apple, Amazon, Facebook, Google / DeepMind, IBM and Microsoft; existing Partners AAAI, ACLU, OpenAI; and new Partners: AI Forum of New Zealand (AIFNZ), Allen Institute for Artificial Intelligence (AI2), Centre for Democracy & Tech (CDT), Centre for Internet and Society, India (CIS), Cogitai, Data & Society Research Institute, Digital Asia Hub, eBay, Electronic Frontier Foundation (EFF), Future of Humanity Institute (FHI), Future of Privacy Forum, Human Rights Watch, Intel, Leverhulme Centre for the Future of Intelligence (CFI), McKinsey & Company, SAP, Salesforce, Sony, UNICEF, Upturn, XPRIZE Foundation, and Zalando.